Our Sports Law Team is headed up by Dan Chapman who is also the founder of the firm's specialist boutique sports management offering, Full Contact, which has an increasing national following. The team provide a comprehensive legal service to clubs, associations and individual sports professionals across the UK. From Bosman to Brexit: What next for EPPP and Compensation in football? 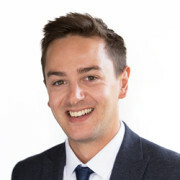 Dan is one of the few solicitors nationwide to also be an active FA Registered Intermediary (more commonly referred to as a ‘football agent’) and he and his leading team have many years’ experience of acting for professional players and football clubs in contract negotiations or transfers. 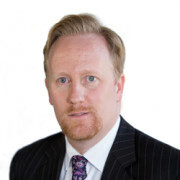 Dan is also one of a small group of solicitors in the country who regularly provides representation before Sports Tribunals – bringing to bear his wealth of experience as an advocate before the Employment Tribunals where he is a recognised leader in the field. The Sports Law Team, in 2010, successfully acted for Norwich City Football Club in its high profile libel case against the News of the World and in 2017 secured another libel victory for a leading motor racing driver against a well-known publisher. Dan has appeared before numerous FA, Football League and National League Tribunals and Arbitration Hearings. In particular, he regularly deals with Rule K arbitrations, acting for clubs, players and FA Registered Intermediaries and he also advises those parties in relation to transfers, eligibility issues and a wide range of contentious and non-contentious matters. He also has considerable experience advising either clubs or managers/coaches on recruitment, contracts and termination and has drafted or advised upon managerial and coaching contracts at all levels of professional football. In 2018, Dan acted for an entire back-room staff upon their departure from an EFL Championship club to a nearby rival. Dan regularly commentates on sports law matters for national and specialist media (including the likes of the Guardian, the Times, BBC Radio 5 and the World Sports Advocate) and in the football world he has become a renowned expert in training EPPP and Youth Development disputes and issues, training compensation, Football Intermediary Regulations and regularly advises clubs, players and agents on the myriad of legal issues at play. During 2017, Dan acted on two occasions for a player (and his family) in claims against a Premier League football club. In addition to football, Dan is best known for his prominent work in motorsport. He has appeared before the Motor Sports Council National Court being one of the few solicitors (if not only) to have won two appeals for racing drivers before the National Court and he has for many years acted for motor racing teams at all levels of the sport (including Formula 1, F2, GP3 and F3) and numerous racing drivers. In the 2018 motor racing season alone, Dan and the Sports Team were involved in over 20 matters involving either Formula 1 or its two support series (F2 and GP3) and F3 and are retained by a number of high-profile clients to give rapid and dynamic advice in a range of contractual, commercial, regulatory and crisis management matters. Throughout 2018, Dan and the Sports Team acted for then F2 driver Alex Albon as he signed for the F1 team Toro Rosso for the forthcoming 2019 season. Bringing together the firm’s established expertise in litigation & dispute resolution, employment, intellectual property, brand protection, defamation, immigration, regulatory and disciplinary matters, the Sports Law Team act for a wide array of sporting clients ranging from individuals to amateur and professional clubs to leading regulatory bodies. For more information on the work done by the team also see website www.fullcontactlaw.co.uk. Head of Leathes Prior's Sports and Employment teams Dan Chapman has contributed to the November and December 2017 issues of World Sports Advocate. The full, unedited version of his article published in December’s edition can be found here. The Leathes Prior Sports Team was the only one in East Anglia to be ranked as Tier 1 by the Legal 500 in 2018. The Sports Team are one of the few leading teams in East Anglia. Dan Chapman has a great understanding of the realities of a professional sports business and continually impresses with answers tailored to the specific needs of clients. Thanks for all of your help. You’ve made the process so simple and straightforward - at least from our end! Acting under the name Full Contact, Leathes Prior’s commercial, realistic Sports Team is exceptional value for money, representing clubs, agents, regulatory bodies and sportspersons. Employment expert Dan Chapman is recommended. The partner-led practice at Leathes Prior centres on employment specialist Dan Chapman, who advised Seb Morris on motor racing matters including his 2014 deal to race with Fortec in Formula Renault 2.0 and 2015 deal with Status GP to race in GP3 and footballer Kieran Agard on his transfer to Bristol City being just one example of many football transfers handled by the team. One of the region’s most active sports practices, which centres on the employment expertise of the no-nonsense and helpful Dan Chapman. Leathes Prior Full Contact Sports Team has a national following and is praised for its exceptional customer service; Dan Chapman is an amazing individual with outstanding knowledge. Tier 1 Sports Team are highly organised. The sports practice at Leathes Prior extends beyond the firm’s regional presence and offers a national service through its Full Contact online portal. The team, led by head of employment Dan Chapman, is extremely busy in both football and motorsport matters. Chapman is an FA registered intermediary and plays a key role in the football agency division of the practice. The sports practice at Leathes Prior extends beyond the firm’s regional presence and offers a national service. The team, led by Dan Chapman, is extremely busy in both football and motorsport matters.